A new complaint with the state’s K-12 leaders claims North Carolina’s largest public school system “routinely violates the rights” of students with mental health disabilities. Attorneys with Advocates for Children’s Services, a Legal Aid of N.C. project, filed the complaint regarding Wake County schools with the N.C. Department of Public Instruction (DPI) Tuesday, noting it was their fourth complaint against the school district since 2009. “It’s time to turn the tide for students with mental health disabilities in Wake County schools,” Advocates for Children’s Services attorney Cari Carson said in a statement Wednesday. 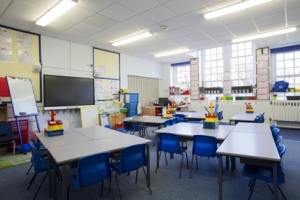 Advocates for Children’s Services cited seven unnamed students in the complaint, alleging that each experienced “significant violations” of their rights under the federal Individuals with Disabilities Education Act, or IDEA, which sets national K-12 standards for the schooling of students with disabilities. “However, these seven—by illustrating the system’s patterns and practices—represent hundreds of others treated the same way,” Advocates for Children’s Services said in their statement. The district operates more than 180 schools serving about 160,000 students. Wake County Public School System spokesman Tim Simmons said the district received the complaint Wednesday and is in the process of reviewing it. However, Simmons said student privacy laws forbid school officials from commenting on specific cases. “That said, we are committed to providing all students with the best services possible and constantly strive to improve our practices,” Simmons said. The nonprofit project advocates for low-income children in North Carolina schools by working to address the so-called “school-to-prison pipeline,” a system of school punishments and suspensions that advocates link to increased school dropouts and higher incarceration rates. Advocates for Children’s Services say state investigators reported multiple failures in the Wake school system based on previous complaints (see pages 3-5 of this 2012 Advocates for Children’s Services complaint). Bill Hussey, director of DPI’s Exceptional Children Division, could not be reached for comment on the latest complaint. (9) failing to offer a continuum of services for students with mental health disabilities, resulting in unnecessarily restrictive placements or placement referrals.